On August 2015, the U.S. Environmental Protection Agency (EPA) finalized the first-ever carbon emission standard for existing U.S. power plants, the Clean Power Plan. The Clean Power Plan, provided demand-side incentives to the States which promote energy efficiency and the use of renewables and natural gas to reduce carbon dioxide emissions from the power sector. The Clean Power Plan was to be the centerpiece of U.S. efforts in the global treaty of carbon dioxide emissions the Paris Climate Agreement. However, the Trump Administration has pulled the U.S. out of the Paris Climate Agreement and has proposed an alternate approach to carbon emission management which focuses on improvement of the heat rate efficiency of individual electrical generating units, called Affordable Clean Energy (ACE). We have compared the air quality and human health and ecosystem benefits of an incentives-based policy like the Clean Power Plan with a heat rate improvement approach. We have started a follow-up study with support from the JPB Foundation comparing the air quality, health and ecosystem benefits of the Affordable Clean Energy with the Clean Power Plan and a no-policy option. Recently a paper was published in Environmental Research Letters (Keyes et al. 2019) demonstrating that when inefficient coal plants are made more efficient they operate for longer periods increasing emissions, a phenomenon referred to as “emission rebound” (Figure 4). In 2018 I participated in briefings to House and Senate staff on this work and have given several interviews to reporters. Map showing projections of changes in carbon dioxide emissions from electric utilities in states from a heat rate improvement policy option compared to values anticipated from the Clean Power Plan for 2030. 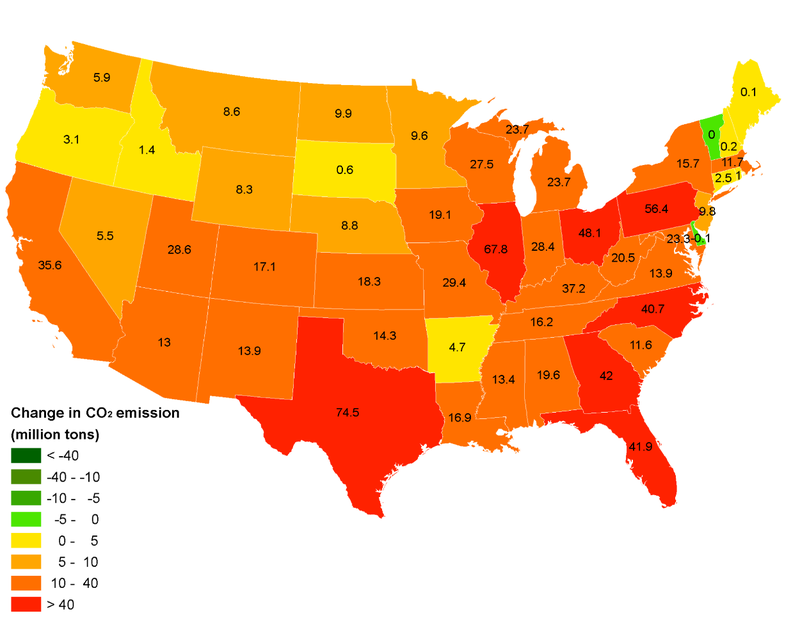 Note that most states are expected to show increases in carbon dioxide emissions. Keyes, A., K. Lambert, D. Burtraw, J. Buonocore, J. Levy, C. T. Driscoll. 2019.The Affordable Clean Energy Rule and the Impact of Emissions Rebound on Carbon Dioxide and Criteria Air Pollutant Emissions. Environmental Research Letters. doi:10.1088/1748-9326/aafe25.